Registration for the 2019 Midwest Musclecar Challenge will be available on January 1, 2019 at 1:00PM Central. It’s that time of year again! The 10th annual Midwest Musclecar Challenge is tearing up the tarmac for two days straight in Indiana! The Midwest Muscle Car Challenge is renowned as one of the top track events in the Midwest, and you get to participate. On May 17 – 18, 2019, test the limits of your car and develop your driving skill in two days of track day madness, good people, and good food. 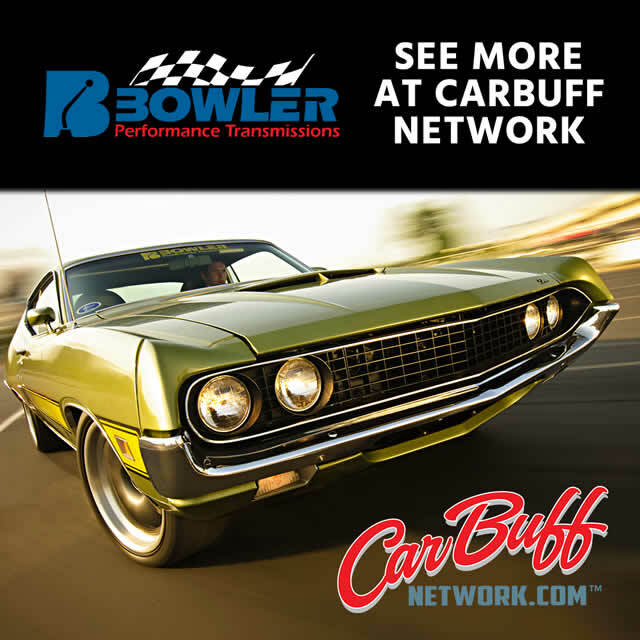 Participation is open to domestic performance vehicles of all years. Registration is $350 per registered driver prior to April 1st and $400 after April 1st. You can have more than one driver per vehicle, but you will have to be in different classes and each driver will need to register. ** Sorry there is no refunds or exchanges allowed any longer. This is due to the planning and structure of this event. Your purchase will be a donation to the Lawrence County Cancer Resource Center. If for some reason you can not make the event we will make an attempt to sell your spot to someone on the wait list in order from the first signed up. Sorry if we can not sell your spot, but be happy you are supporting a great cause! The Midwest Musclecar Challenge will consist of several events taking place of the course of two days. On day one at Putnam Park Road Course in Greencastle, IN, compete with your class (Novice, Intermediate, Advanced) during this all day track event on a 1.8-mile road course and enjoy your lunch – on us. We’ll even provide the transponders if you need one. On day two we’ll be out at Terre Haute International Airport for an entire day of Autocross. Autocross vehicles will be split into two competing groups (pre 1981 cars, after 1981 cars) for a day of fun and cone-killing. We’ll also have extra goodies and fun things to do along the way. 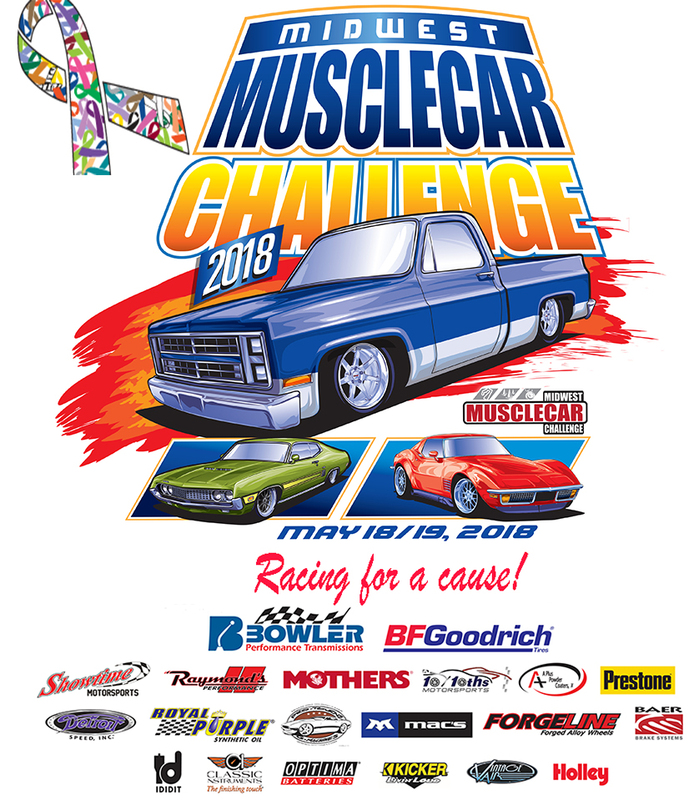 We look forward to seeing everyone and their cars at the 2019 Midwest Musclecar Challenge, May 17 – 18, 2018. 5:00 PM: Transponders need to be turned in and the Hot Lap Challenge closes. We have been working to try and secure rooms for May 16th – 19th and it has been proving to be difficult once again, due to graduation of the local college. The Super 8 and Days Inn are the only hotels willing to work with us to secure a block of rooms and offer any discounts. You may be able to get a better rate online or by calling direct. We have never stayed or even been to the Days Inn. The Super 8 may not be a five-star hotel, but they have been very good to work with over the years and have plenty of trailer parking. The Holiday Inn Express across the road is a good hotel, but will not offer any blocks or discounts for the event and have very limited trailer parking. We appreciate everyone’s support and look forward to another great Midwest Musclecar Challenge. Qualifying vehicles must be domestic four-wheeled street capable vehicles, domestic vehicles only. No purpose built race cars will be allowed to compete, but are welcome to run and have fun. This event is designed to be a fun and spirited competition to showcase vehicles conceived and built within the “pro-touring” concept. Vehicles must be set-up to be street driven daily in all kinds of weather and any convertibles must have rollover protection & seat belts. Cost to compete in the event is $350 for one car and driver before April 1st. The event will be limited to the first 60 registrations, after which a waiting list will be established. * This is a non-refundable donation to the charity. Sorry but we can no longer allow changes, if you can not make the event we will do our best to sell your spot to the next person inline on the waiting list. Each vehicle is limited to one driver per entry. However you can register the same vehicle more than once for another driver. The registered owner must drive the vehicle during all events. A mandatory driver / passenger meeting will be held prior to the first competition. All competitors must have current registration, proof of insurance, and a current driver’s license. All of the following are required: current registration, safety belts, working headlights, taillights, brake lights, turn signals, all convertibles must have a roll bar and all cars must have safety-glass windshield. Each entrant will be issued a number that must be clearly visible on the windshield, side windows or rear window. Decal package must be applied per specifications. Participants must use DOT approved, non-competition, treaded (non-grooved) street tires (no competition radials, no R compound, drag Pokies radials or shaved tread) with a manufacturers tread wear rating of 200 or greater. We have always tried to be reasonable with tires and clung tightly to the 200 TW rating, while trying not to rock anybody’s boat. BFGoodrich Rival and Rival S tires are acceptable. Tires will be required to pass a technical inspection at the track. The event requires the use of a DOT approved “non-competition” tire – any modifications to tires will be unacceptable. The race director and technical inspector reserves the right to exclude any tire that does not appear to be a legitimate street tire regardless of tread wear rating. Any vehicle with tires showing any evidence of modification will be immediately disqualified from the event. Segments of the Midwest Musclecar Challenge will incorporate competitive elements that will make race tires unsafe and uncompetitive. Safety is of the utmost importance and the race director will not hesitate to disqualify questionable tire selections. Competitors must use a single set of tires for the entire event, no tire changing between events will be allowed. Tires will be marked during tech. Tire changes will be allowed in the event of a catastrophic failure, but replacements must be of the same size, manufacturer and model as those approved during tech inspection. Helmet use is to be required during any competitive event with the exception of street driving. No motorcycle helmets will be allowed and helmets must be certified in SA2005 or newer. Participating cars must pass a safety and technical inspection that will emphasize safety. Safety features that do not offer a competitive advantage such as racing specific harnesses roll cages/bars, fire systems, etc, are acceptable. Scoring guidelines will be based on a simple per element system, we do include social media post and special decal placement as points, if you do not like this being part of the event, please do not come. This event is for enjoyment and for the charity so if your focused on only winning because you feel you’re the fastest and best driver, you might want to consider another event. Race director and event management staff will have COMPLETE discretion to deny or remove from competition anyone in the event for any reason. Rules interpretation will be at the sole discretion of the Midwest Musclecar Challenge committee, race director and event organizers. Note: Registration for the 2019 Midwest Musclecar Challenge will be available on January 1, 2019 at 1:00PM Central. Demand to participate in the Midwest Musclecar Challenge is bigger than ever. As such, we’re adjusting the registration process a bit to eliminate some of the frustration we’ve had in previous years. Novice: For drivers with minimal to no experience on a road course. Instructor help will be needed. Intermediate: For drivers with some track experience, comfortable with passing with a point by on straightaways. No passing in corners. Instructor help not needed. Advanced: For drivers with lots of track experience, comfortable with passing on straightaways and corners with point by. Instructor help not needed. Select your racing class to view the appropriate registration form. Your form will only appear after registration has begun. Fill out the form separately for each person who wants to register. If you only want to register for yourself, you only need to fill out the form once. Note: Vehicle model years are limited to 1987 and older. Registration for newer vehicles will open after the first 48 hours of registration. Note: Once we have a received the maximum amount of entrants, we will close registration for that racing class and prompt you to join the waiting list for that racing class. The waiting lists are also limited. Note: You will receive email confirmation when you have successfully reserved your registration. By January 7, 2019, you will be contacted and directed to a special page where you will be able to complete and pay for your registration. Registration is $350 per person and is non-refundable. Registration fees are donated to the Lawrence County Cancer Resource Center. Failure to complete your registration before end of day, January 14, 2019 may result in your registration being forfeited.